PHASE is constructed using the latest lamination techniques, with a minimal single-layer mesh upper and laminated reflective details. With an asymmetric lacing system and unique IBR outsole, PHASE provides maximum performance with minimum weight and interference. 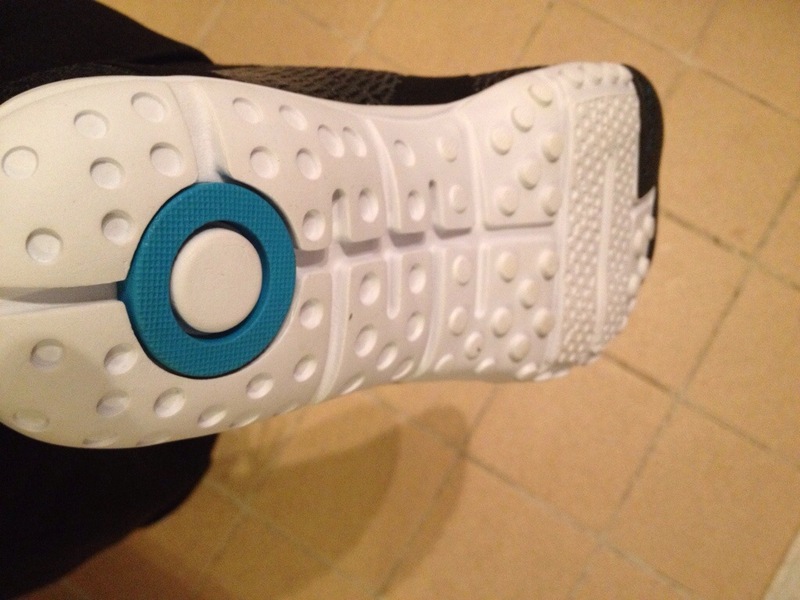 Zero-drop, 11mm stack height outsole (8mm without insole). What does any of that mean? Very little if you think about it, when you buy a pair of shoes you buy them because you think they might offer you something in the ride or because you like the colour or because you trust the brand named for me with Skora none of these applied, I was actually looking for a lightweight replacement work shoes to cover the job previously done by my Dunlop Green Flash, which I’ll be honest are not a great shoe anymore. 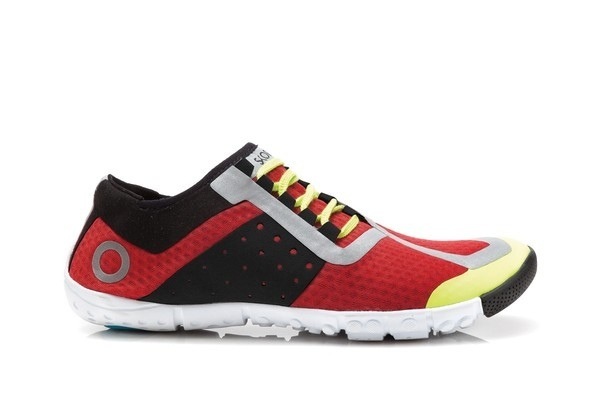 I had seen some reviews for Skora running shoes via some of the American tweeters that I follow and given the zero drop and barefoot style feel, combined with a colour way suited to the workplace that these might be for me. So I started looking for them on the internet but finding a stockist, who also have a physical shop is near impossible – a bit like the early days of Vibram Fivefingers. At the point of giving up I happened upon a Sports pursuit sale and there I found the Skora Phase and without a moments hesitation I was ordering my first pair – an absolute bargain at just £46 inc delivery. The trouble was this was early August and they didn’t arrive until the middle of September so I was left waiting what felt like an age, still upon arrival I was rather pleased with the packaging – always a good sign. A nicely branded and well constructed box contained my new shoes and as I lifted out the first one I couldn’t believe how light it was. As a big advocate of the barefoot style I own several pairs of VFFs and Merrell glove and in the weight department these felt lighter! they also felt more flexible and without a shadow of a doubt they had a uniquely delightful styling. Changing into my Skora was a pleasant experience and the slightly to the side of arch for the foot lacing system meant less stress across my arch, but they also pulled nice and snug for a good fit. I wiggled my toes a little bit and noted that the toe box fulsome with room to breathe but without ever feeling loose. The airmesh was suitably breathable and the heel – a place that I find rubs on me was nice and soft to the touch, but it was as I stood up that I felt the really great support and the grip, you get the feeling of the little dots gently pushing through and I knew that as I ran I’d be well connected to the ground below me. And then it hit me, I must have worn Skora before and memories of being a six year old boy flooded into my brain and there it was … Skora reminded me of those little black pumps that UK kids used to have to wear rather than real trainers, now this is no bad thing as recent research suggests that there is nothing wrong with these at all, but that memory spike meant the Skora earned a place in my heart long before I’d run in them. My first run in them was a slow 10km, followed each of the following days with either a fast 5km or a 7km trot, not much but best to break them in slowly – but the reality is there was no need, these were a great pair of runners. The Skora Phase are fast and light but with a great connection to the ground just like the Merrells and Vibrams but offer a little more protection certainly than the VFFs and probably as much as the Merrell. I also feel slightly more sure footed in these than I do in the Merrell which I find a little more difficult to keep under control but no such issue here. In water they take the liquid on board and release it nice and quickly but with added benefit is that in the rain they tend not to absorb as much as the Vibrams therefore my feet have been staying drier as I’ve been running – another bonus as my feet seem to blister at the first sign of rain. 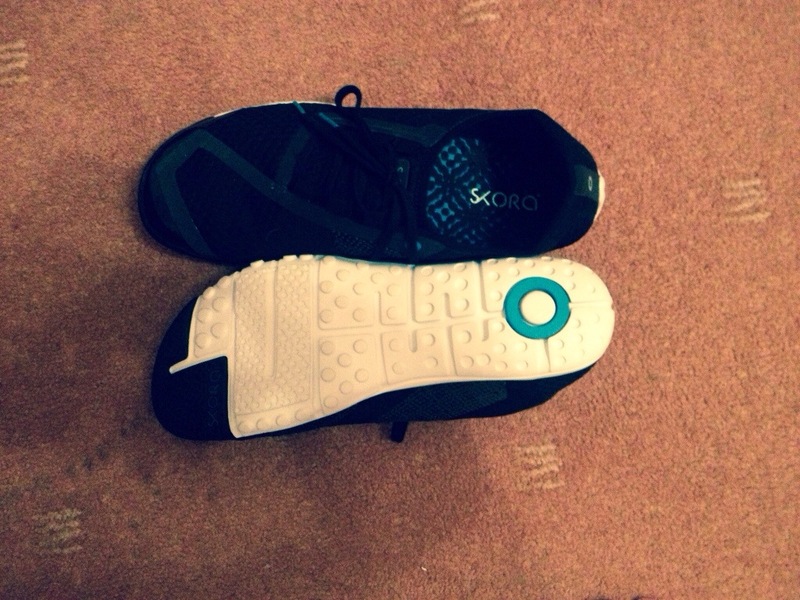 I did one 15km run on the trail and the Skora Phase were fine in dry conditions, moving nicely over the rough terrain but I think they would struggle in more challenging conditions but then I’m not convinced they were designed for the trail, these feel like a decent road and gym shoe. There have been a number of admiring glances at my Skora Phase and they are the perfect show for working in, I commute in them, I work in them and I run in them. I would pay the full price for these and will be when I next need a pair and I’ll be buying in bulk and in even more dramatic colour ways. If you already are a barefoot runner and enjoy your Vibrams, Vivo or Merrells then you’ll probably enjoy these too, a little different from the ones mentioned but retaining all the great features that a barefoot shoe should have – I suppose for me these are the most versatile of running shoes I own and perhaps that is there downfall – I wouldn’t consider these for running the Snowdonia marathon in a couple of weeks time! but I would certainly be looking to pound out some faster 10km races in them and certainly they make a great training shoe. If you can find them then they will be a great addition to your shoe rotation and may even replace several old pairs of barefoots. Good running chaps and if you invest in some of these you will not regret it.